Review: Claymore or silver-eyed witches; that’s how the villagers call those members of the organisation whose profession it is to find and slay Yoma. Those Claymore are all half Yoma half human, very powerful and female, fore only woman are able to survive merging with a Yoma. Yoma are powerful demons who can take human form to remain undetected. However, they can not fool the eyes of a Claymore since they themselves are half Yoma. When there is a suspicion of a Yoma hiding in town, villagers will hire a Claymore to get rid of it. 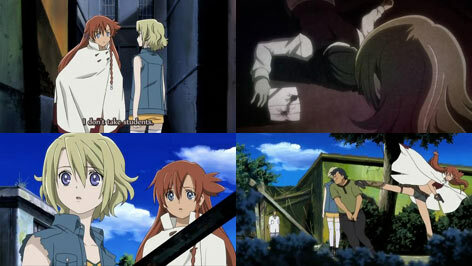 Claire is one of those Claymore, but she is travelling with a young boy who acts as her cook, which is unusual since Claymore usually are feared by humans and live a lonely monotonous life. What this boy yet doesn’t know is that each time Claire fights, she isn’t only fighting with the Yoma in front of her, but also with the Yoma within her. It is the fate of all Claymore to one day lose to the Yoma within at which point they will request their closest fellow Claymore to kill them before they lose their human heart. 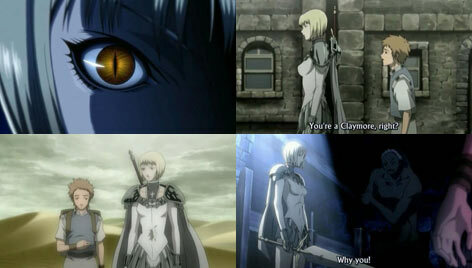 Claymore tells the story of the sad, lonely and terrible fate of Claire, a young woman who decided to become a Claymore, and a boy, who decided to accompany her. This promising theme is supported by an adequate atmosphere and animation quality. Review: Review: El Cazador de la Bruja is about Ellis, a young girl who is on the run. It is said, that she has killed the physicist Heinrich Schneider. Now, many bounty hunters are after her. So is Nadi, a young female bounty hunter. But then an old woman who was looking after Ellis asks Nadi to take care of Ellis, and so Nadi decides to travel with her to reveal her unknown past. El Cazador reminded me of Noir, while this doesn’t necessarily have to be a bad thing, because Noir was actually a really good anime. However, it is too early to judge if El Cazador will live up to past similar anime shows like Noir and Madlax, but this author’s stories are known for getting more interesting as their mysteries reveal themselves. Review: „To create something, you have to sacrifice something of equal value”; this is the law of equivalent exchange in a world where alchemy is among the biggest fields of scientific research. Yet, only few people are gifted with an alchemist‘s power to, when understanding the structure of matter, break it down and rebuild it at will. Very early the two Elric Brothers, Edward and Alphons, learned how to use that miraculous power, which reminded their mother of her husband, who left the family without a trace years ago. When she died of illness, in their sadness they committed the big taboo of trying to create a human through alchemy in an attempt to revive their dead mother. A miserable failure in which Edward lost an arm and a leg, while Alphons lost his whole body living now with his soul attached to an iron armor. The law of equivalent exchange, or the iron law, how it is often called, might as well be how this whole world works; or at least that’s what they thought when they burned down their house and left on a journey to regain their bodies, leaving their hometown and friends behind. 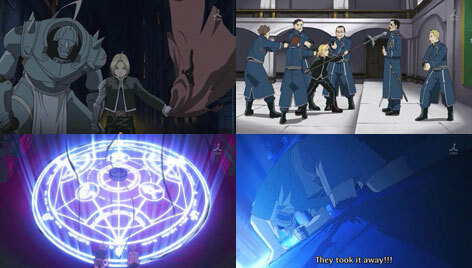 Fullmetal Alchemist – Brotherhood is a completely new remake of the previous highly successful 51 episodes long Fullmetal Alchemist series. 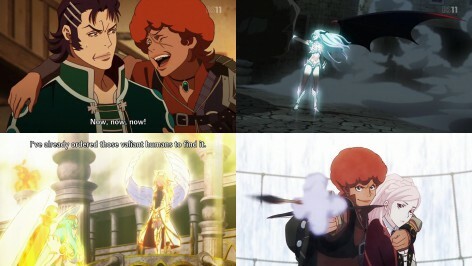 Both series are based on an original manga of the same name. When the previous series caught up to the story of the manga, which released only 1 chapter each month, the animation crew did a pretty good job in continuing the story their own way, while picking up some elements of new chapters here and there. 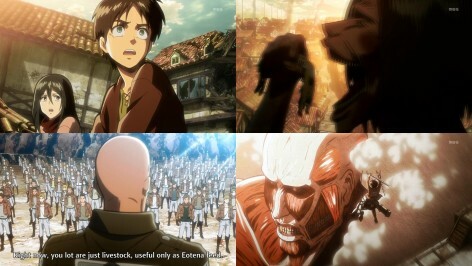 All in all it was a well designed and well animated shounen action-adventure that deserved its success. Basically there is little need for a remake of a series that’s almost perfect to begin with. As in the anime-industry success alone very often is not a sufficient indicator for sequels, my early guess was that this time they plan to stick closer to the original manga story and present it in an even better animation quality. While as suspected the animation quality is indeed satisfying, the presentation of the story at this point is a little disappointing in my point of view. 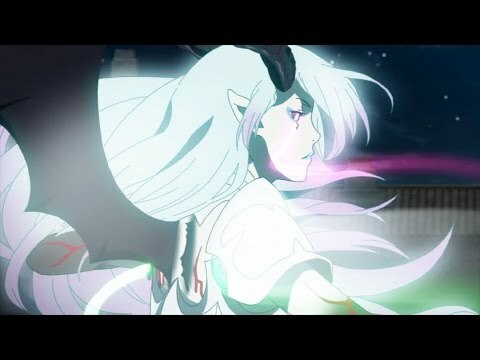 Episode 1 simply serves as an introduction and shows things that aren’t in the manga at all, yet do not contradict its plot. Episode 2 serves as a flashback and already shows a rushed version of the Elric brothers’ pasts; Too much to be only a small hint like in the manga, yet too little to be sad and touching. 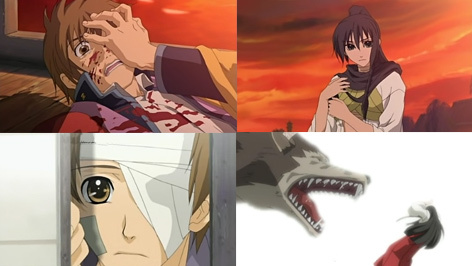 As it turns out major flaws keep appearing as the story goes on: Important key scenes like Edward’s arm being destroyed by Scar and Hughe’s funeral are designed rather sloppy and do not unfold the full touching or exciting impact they did in the previous series and in the manga. Even though the same animation studio is responsible for the production, it’s ironic to see a remake that hardly surpasses the first series at all except for the animation quality. Despite those flaws, this remake is a must-see for everyone who did or did not see the first series. Let’s hope they will do a better job as the story unfolds.